Flyer printing is the solution to promoting a product, a business, or an upcoming event. We offer three types for flyers: business flyers, die-cut flyers, and club card flyers. 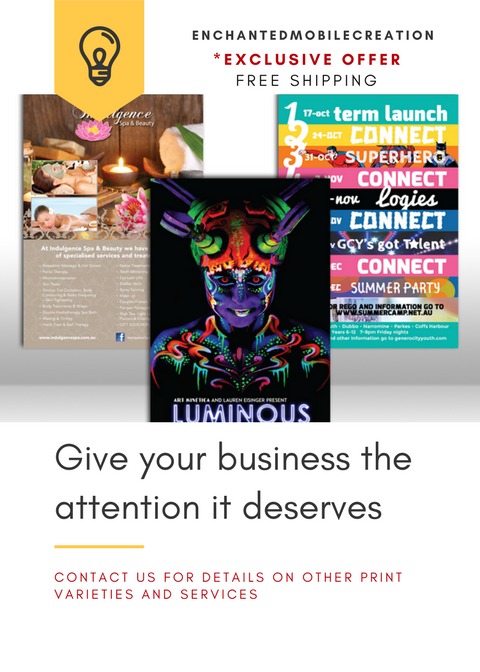 If you’re looking for cost-effective means of marketing a business, consider business flyers. We offer seven different fold options including trifold, half-fold, and z-fold as well as coating options. These can be ready to ship the following business day. For designs that truly stand out, we have die-cut flyers. You’re sure to come up with new and exciting flyers with shapes like rounded corners, leaf, half circle side, oval, and circle. Let the whole town know where the party is with club card flyers. Sizes are customizable so your flyers can be as big as you need them to be. Your custom party flyers are printed on thick cardstock. Flyers help spread information at reduced costs. They are mostly distributed in places with high foot traffic. So it is necessary to print them professionally to make it easier for people to get your message.